Plus Size Kitten: My Transitions Lenses Are Ready! I mean it’s easy but it became hard for me because I was so indecisive (vain)! Budget is one thing and fitting the right frames on magical lenses without looking like terminator is another. 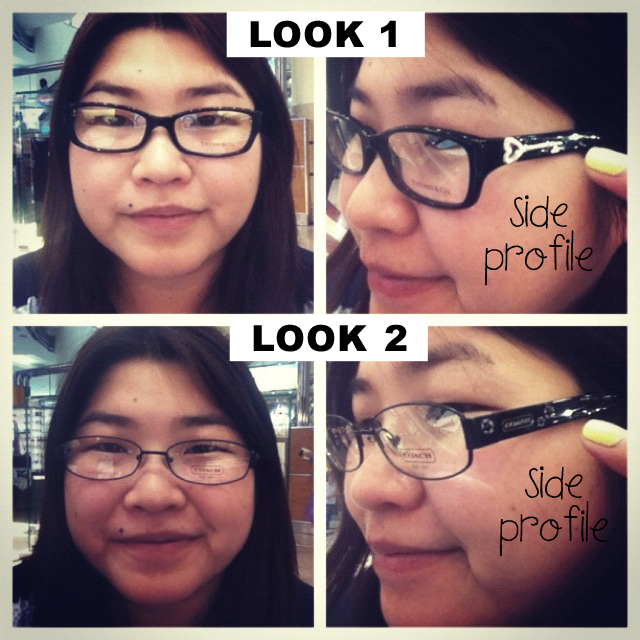 There were so many options to choose from because transition lenses fits in any kind of frames. The optician advises me to go for something that I would be comfortable with. After several hours, I decided on two looks and facebook about it. My facebook friends all voted for look 1 the “Geeky Look”. They say look 2 is more of a boring schoolgirl look. With unanimous vote, I went for look 1. Thanks friends!!! I love the frame very much no regrets! after a week, my transition lenses are ready! 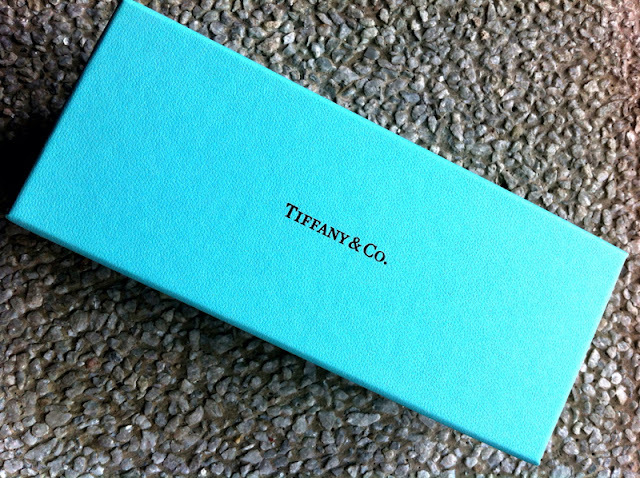 yes you guess right, it's from Tiffany & Co! How much did I pay for transition lenses? it actually depends on brands out there. There's Hoya, Zeiss, Essilor to name a few. The optician at Optical88 gave me a through eye check to determine the type of transition optical lenses I need. The price will depend on your prescription, type, index, material and add on options like anti-reflective (AR) coating, scratch resistant coating and edge polish (which removes the frosted look from lens edges). I can't share how much my lenses cost because the price is different everywhere but you don't need to worry about it being expensive because there's always promotions going on. do you know that transition lenses has photochromic technology (photochromic dyes) that's part of your lenses that won't scratched off or peeled off? yeap true dat. My optician made sure I was comfortable in my new eyewear, she was so worried I would get dizzy as this is my first time trying on transition lenses. Everything was as clear as daylight! It didn't feel any different from my old lenses I walked around the shop and was quite happy with them. Apparently transition lenses are also suitable for children? you can reduce the UV exposure and preserve their fragile eyes from UVA and UVB rays (www.eyedidntknowthat.info). My transition lenses only activate when there is UV rays so it will darken according to the amount of sunlight I'm receiving. Here's a before and after picture of me indoor and outdoor! I didn't even feel any difference when it happened. 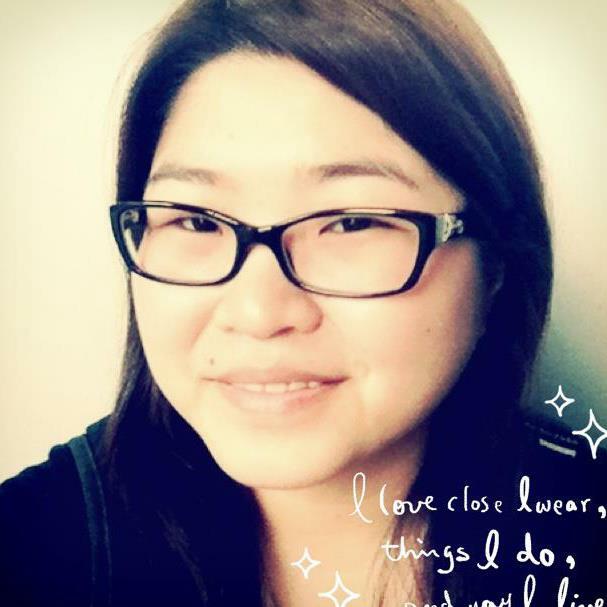 I asked my fiance if my lenses changed? and he sait it was darker now. Amazing!!! I didn't feel it changed at all! (yay goal achieved). As I was about to leave the optical shop, the optician was kind enough to tell me I didn't have to worry about driving in them because it won't suddenly go dark inside the car under sunlight. That's because the car's windshield and windows already has UV filter so my transition lenses will not change color. Stay tune for my next post when I take my transition lenses out for a spin in Sungai Buloh's popular nurseries. The sun is always sunnier there! once the bread iѕ raіsеd. I really like the geek look so mine geeky one. You can choose designs suitable for your face ^___^ don't have to worry. Your mom & my mom same!!!!!! she also once lecture me on the importance of good lenses to protect uv, so I have one sunglass that I pay to have the lenses polarized, but sometimes not convenient for city / outside daily trips unless holiday. now I regret not choosing mint green one! Thanks! my taste ahem... good one. I wanted something quality to fit my lenses so I went for this frame. Don't want put such awesome lenses into a normal frame, wasted. Sometimes very mafan to wear contacts for sunglasses or switch between frame & sunglasses just to hide from the sun & uv. Transitions lenses is a good solution for this. Automatic change? This is cool and so convenience!~ Must be pricey? hey cre8tone, yeah it will automatically adjusts according to the amount of uv ray hitting on your face. Lenses price pretty common, few hundreds to thousand depend on your power, etc, type. Need to get quotation from your home optical branch. 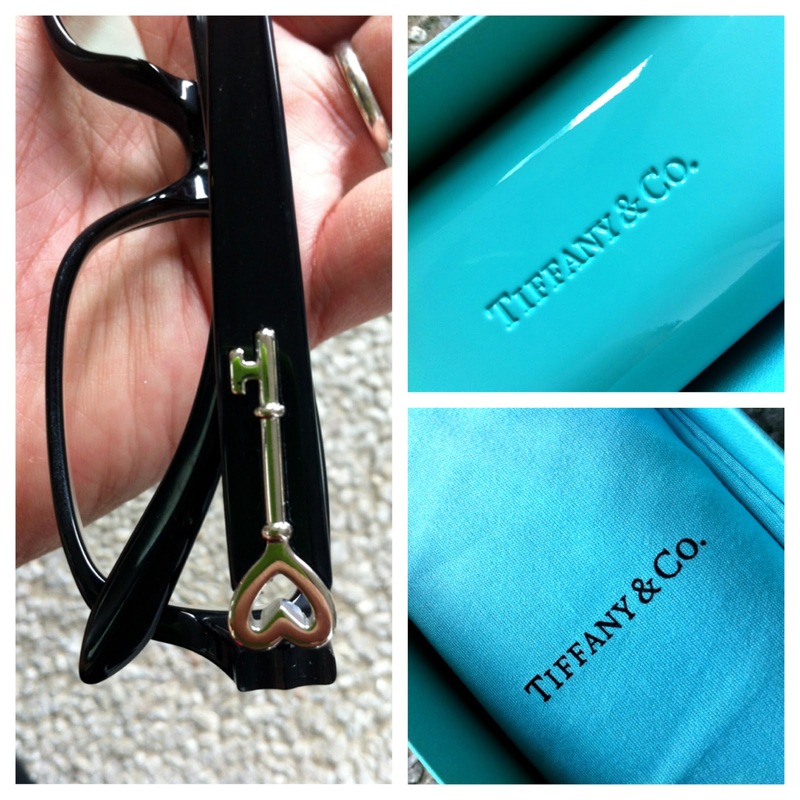 May I know how much your Tiffany spec cost ? You look cool with it. all the time by reading thes pleasant articles. Great post! Been reading a lot about buying new glasses. Thanks for the info here!